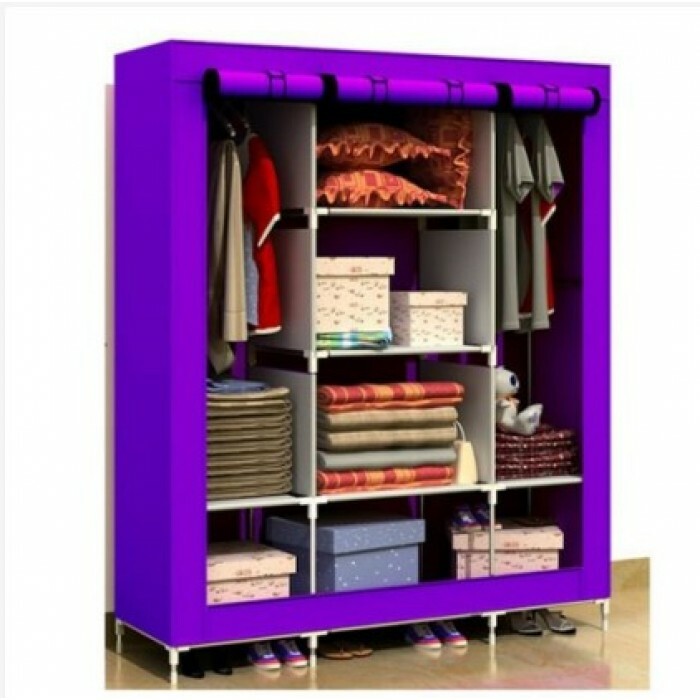 This wardrobe is an innovative idea and concept that will surely keep your home clean and tidy. 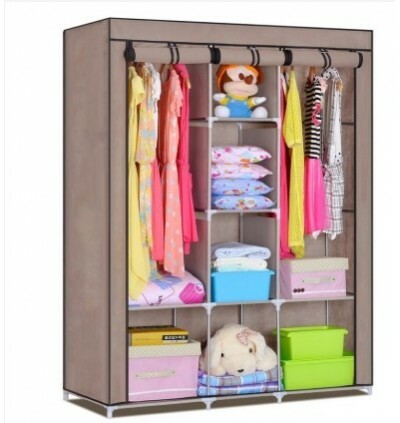 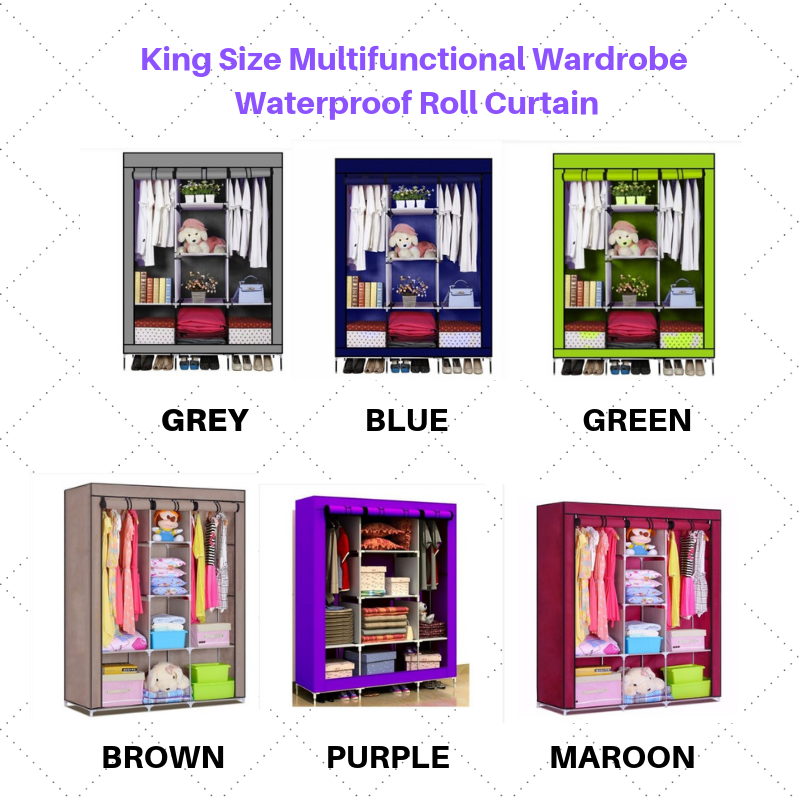 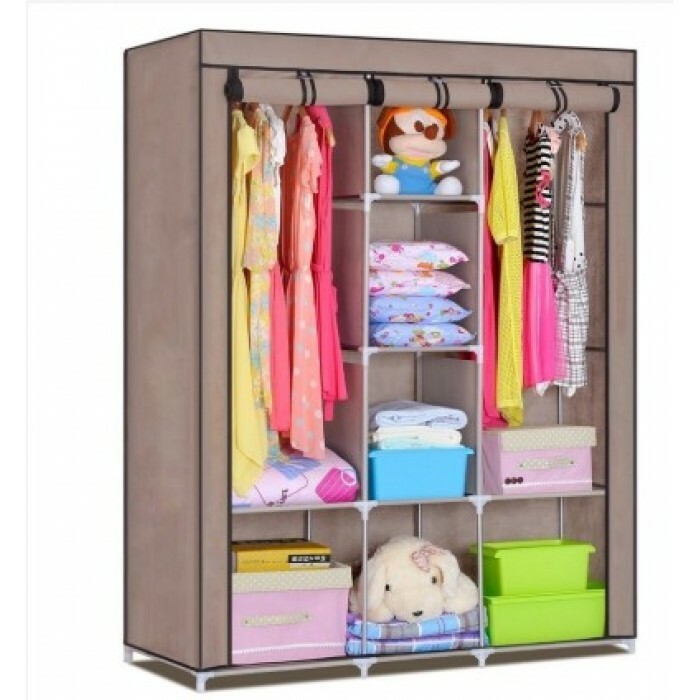 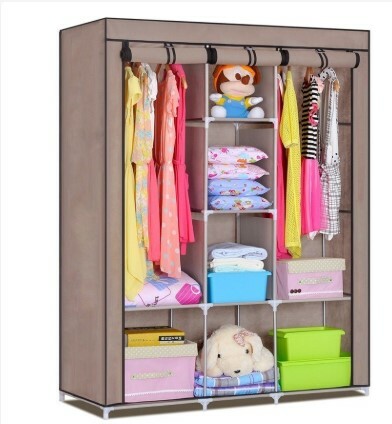 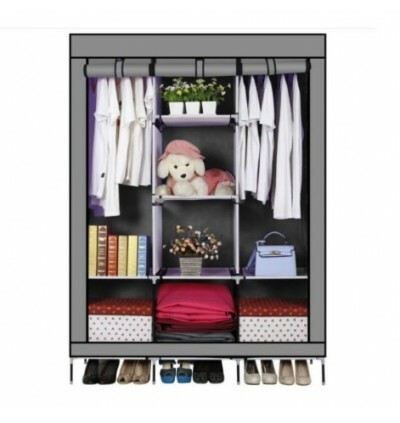 It is an excellent space saving solution to organize your clothes, lingerie, socks, accessories and ties. Use it to store old clothes that you rarely wear to create more space for your main wardrobe. Useful for storing guests?? 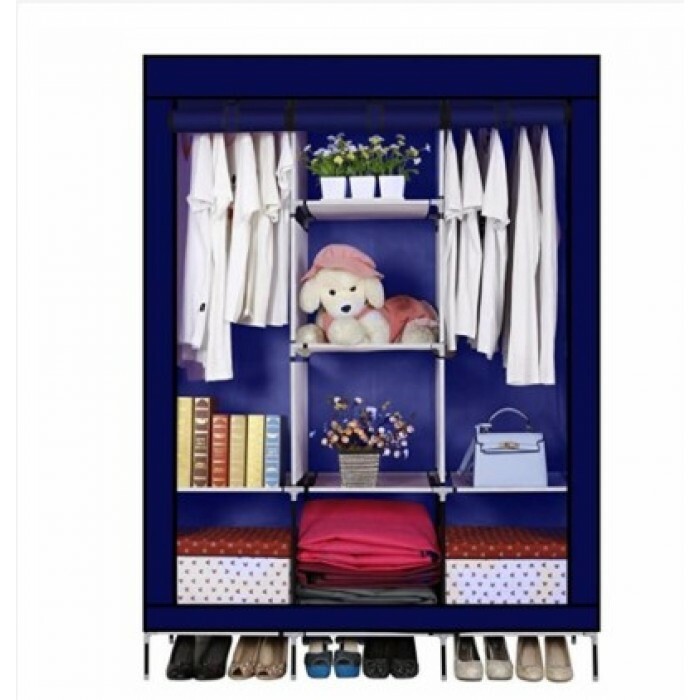 Clothes, especially if they are staying with you for a long time. Suitable for students renting hostels temporarily. 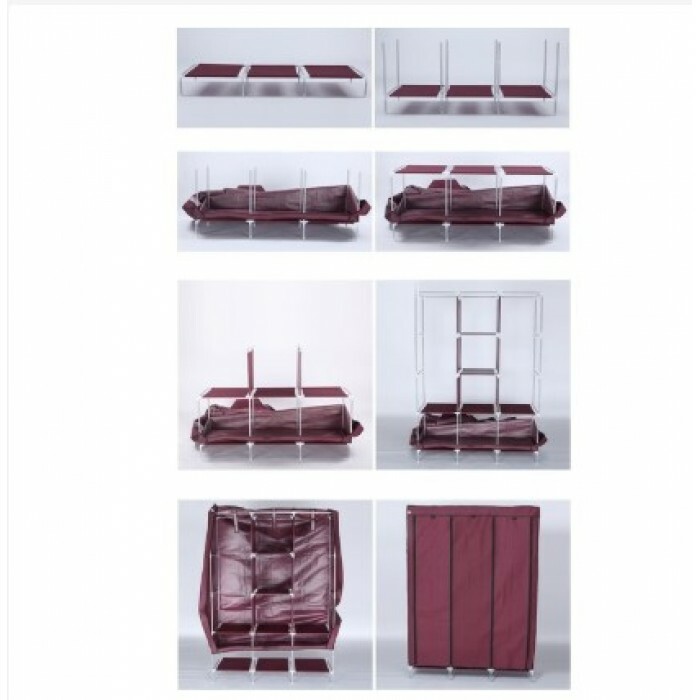 Maximum weight capacity: Approx. 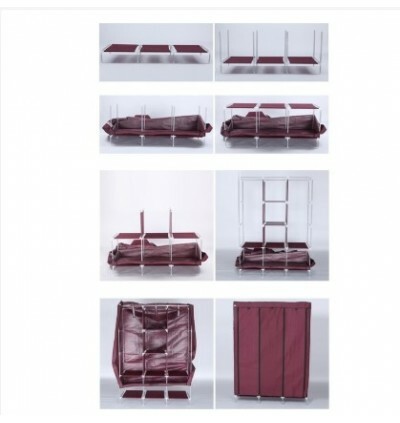 100kg. 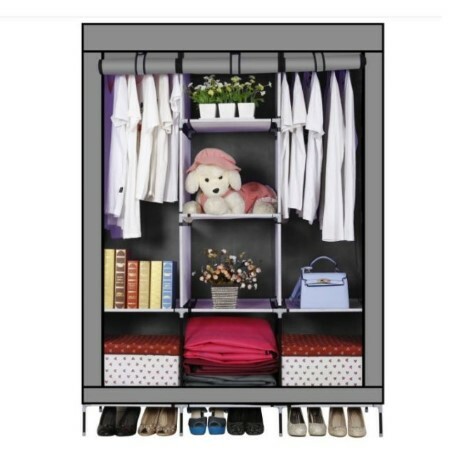 Includes hanging space and shelves.. 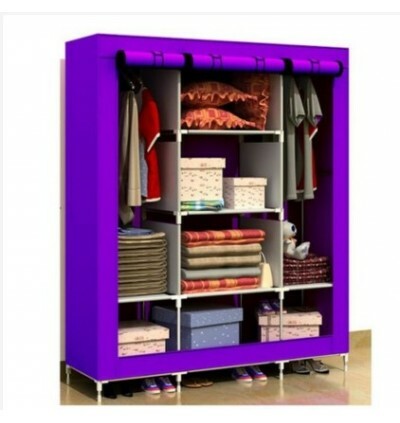 This gives the wardrobe even more flexibility in terms of the sorts of items that can be stored inside the wardrobe. 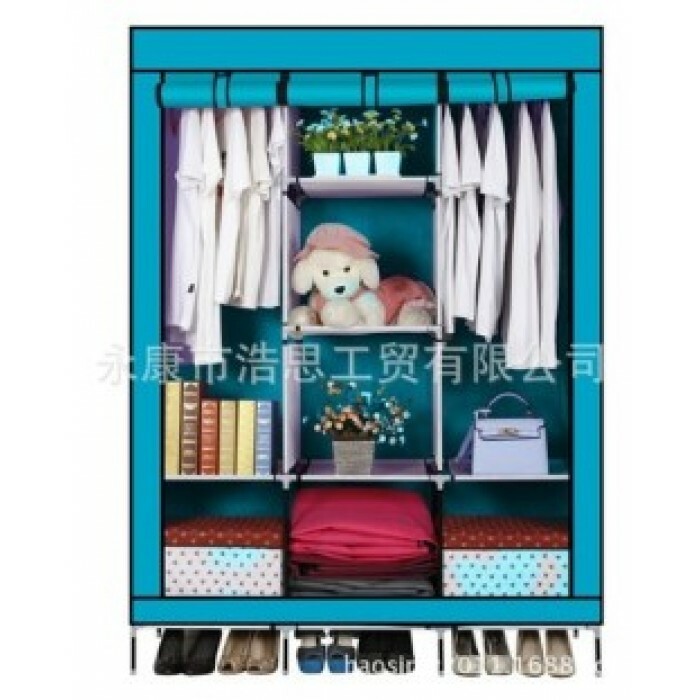 The top of the wardrobe can also be used to place storage boxes. 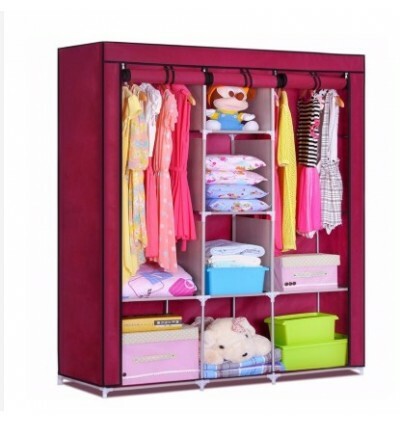 You can put it in most things that are fragile and delicate which needs that extra care. 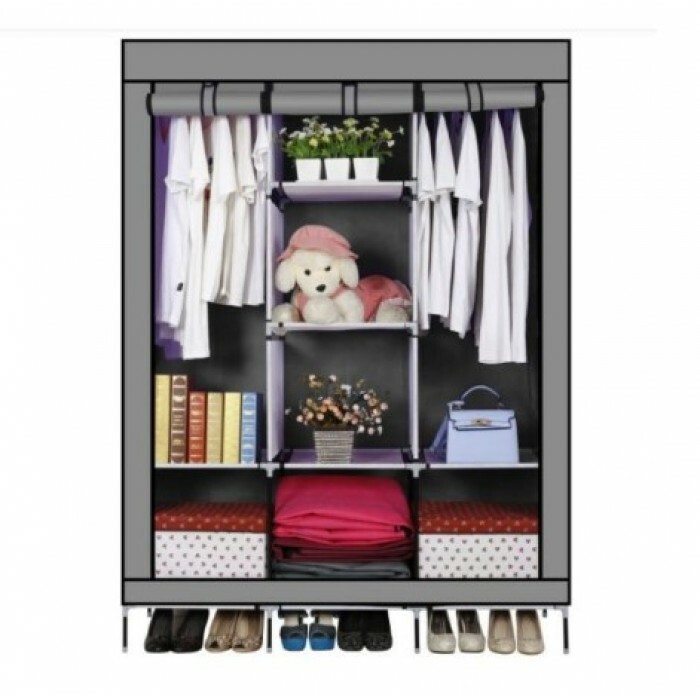 This will ensure your home or space is clean and tidy for a hygienic feel. 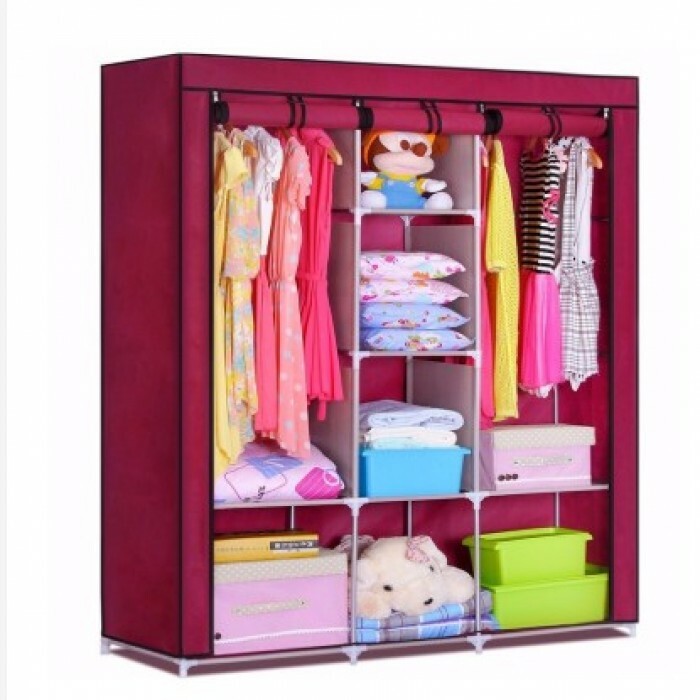 Despite its foldable and light features, don’t be fooled as this storage is durable and strong enough to hold any items within the size of the storage.